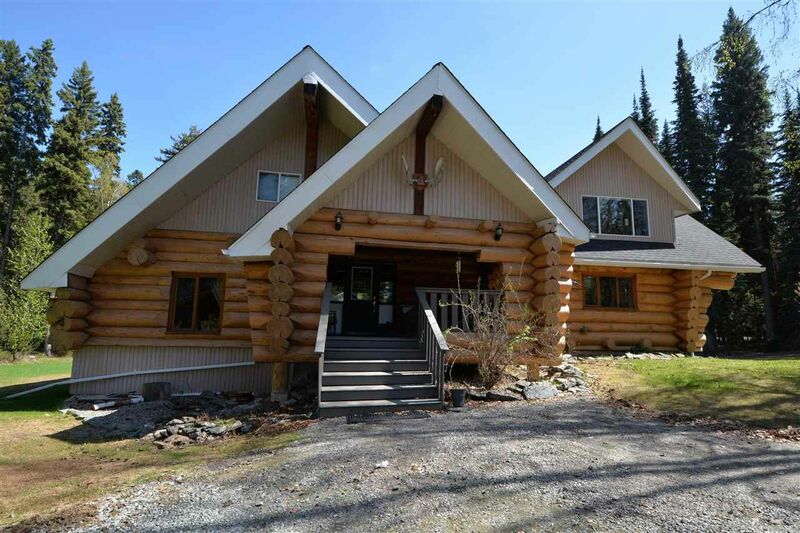 Set on a beautiful park-like private acreage, this stunning log & post and beam constructed custom home will absolutely impress. The main floor flaunts a gorgeous sunk-in living area with 20' vaulted ceilings that create a warm creative space, a huge chef's kitchen with center entertainer's island and a giant dining area that has enough space for all your family and friends. Upstairs open post and beams soar over the master suite boasting walk-in closet, dressing area, and ensuite with soaker tub. Big 2nd bedroom upstairs could easily be 2 rooms with second ensuite and covered deck overlooking your private retreat. Daylight basement has room for a suite. Big 16' RV carport and lots of outbuildings truly complete this package.